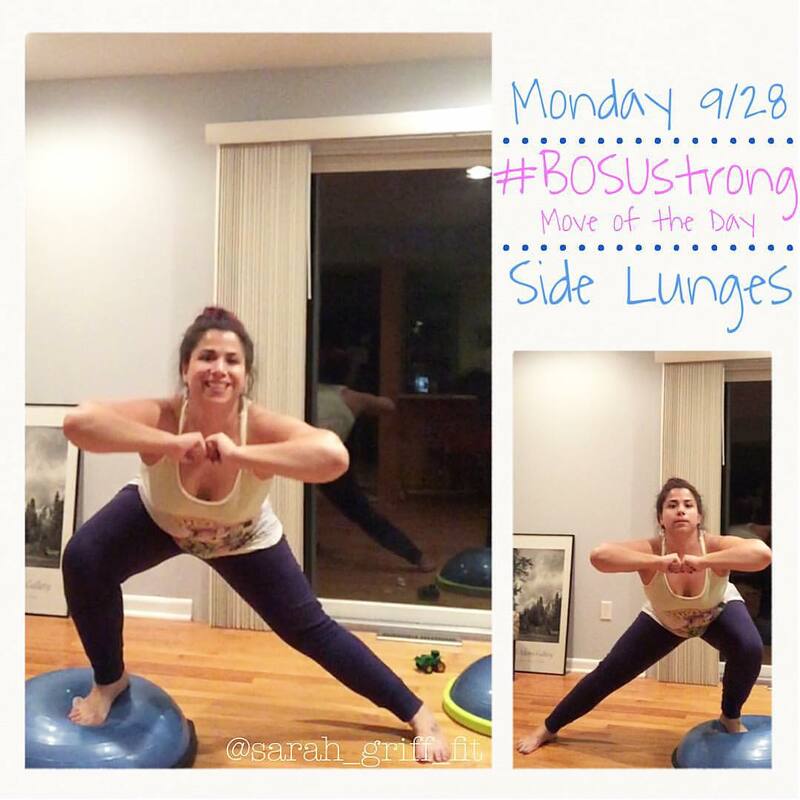 If you forgot to join me last week for the #BOSUStrong challenge or just weren’t up for the cardio, make sure you join me this week as it’s all about the balance! 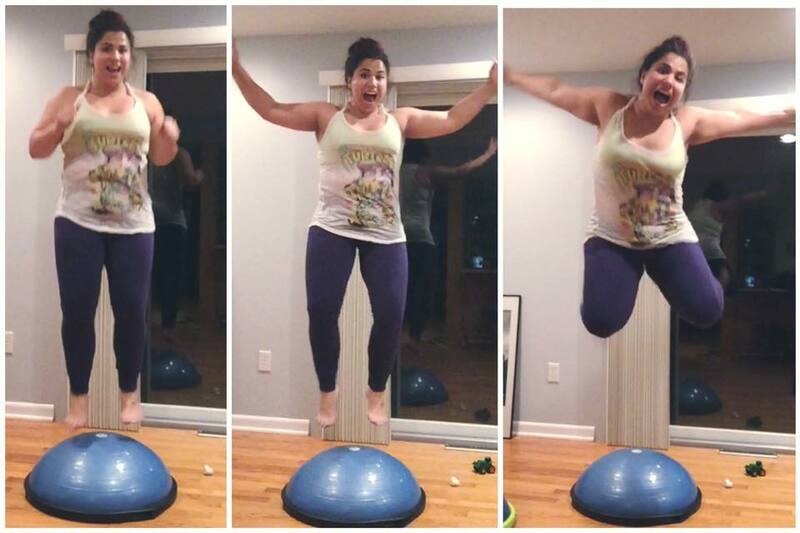 We’re standing on one leg, lunging, and BOSU squatting our way through the week. If you’re a mom like me then I am sure you know the importance of balance in your life. 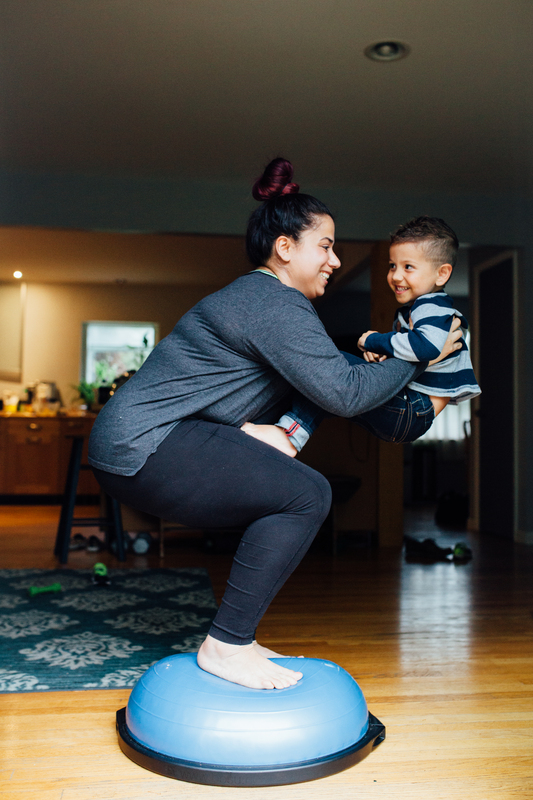 Balance means more than just being able to stand on one leg, it also means being able to do what you love while making healthy choices at the same time. It means putting in the work and still finding time for family. Or eating those well planned meals but balancing it out with the occasional piece of chocolate cake. 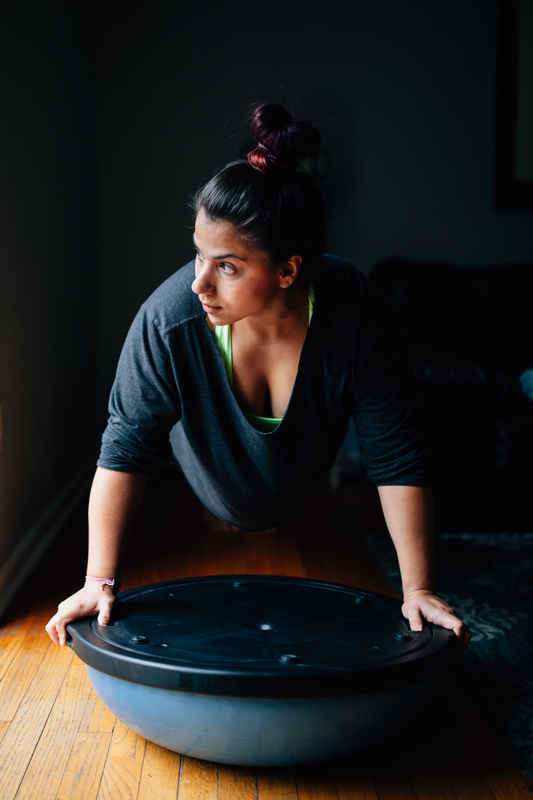 Or using your BOSU (workout) and workout DVDs (workout) at home when you can’t make it to the gym. 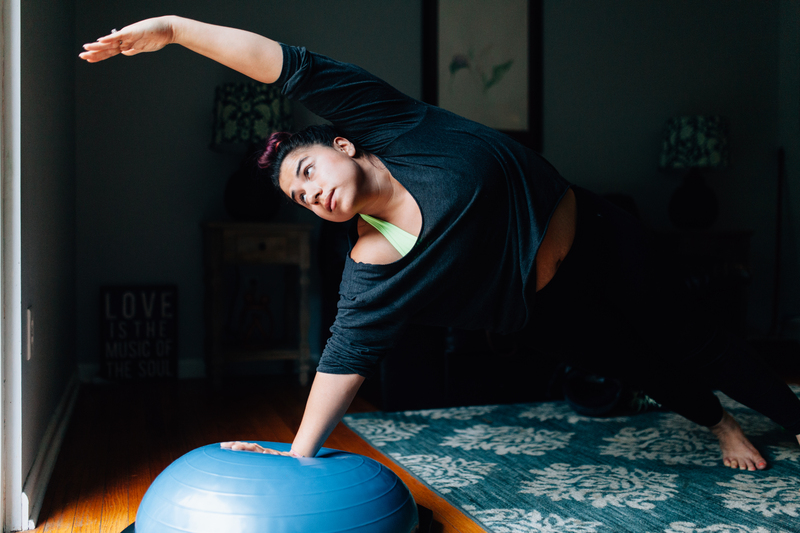 Here are the 6 ways I stay balanced – what are yours? I make time for myself by squeezing in a lunchtime workout during the work week. My favorite me time is going for a long run in the crisp fall air. My rule when it comes to a balanced diet is allowing some flexibility. 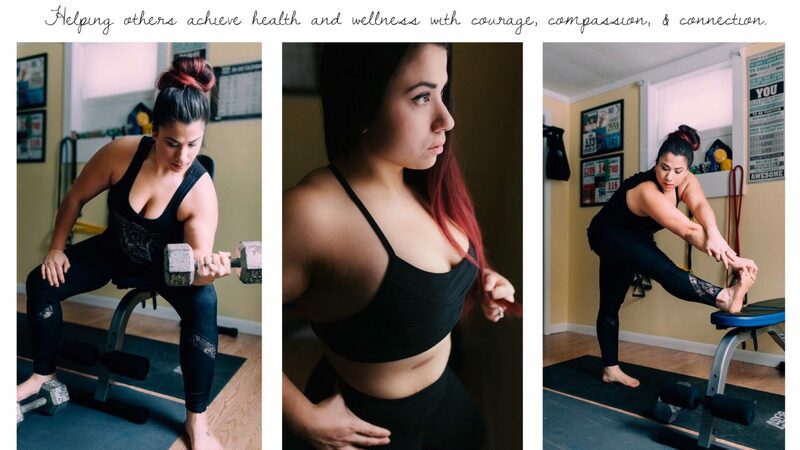 I make fitness a priority by __making it part of my family-time___. When I get stressed or overwhelmed, my go to is __meditation or a long hot bath___. I do __my best to prepare healthy meals and be an example for healthy living__ to help my family stay balanced.